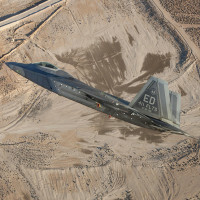 When the 411th Flight Test Squadron’s F-22 Modernization Team at Edwards Air Force Base, Calif., was tasked with a short-notice, quick-turn test, the members never imagined it would help garner them national recognition. 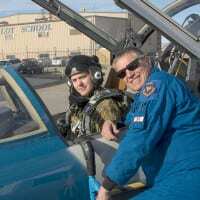 The Flight Test Historical Foundation will be hosting the Gathering of Eagles event Oct. 21. 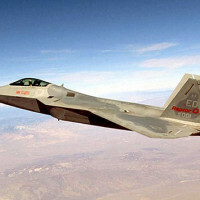 The event will commemorate the 20th anniversary of the F-22 aircraft’s first flight which took place Oct. 7, 1997. To many around the world, the Antelope Valley is considered the epicenter of aviation. 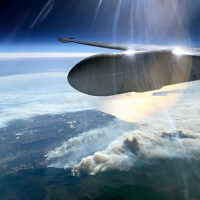 And a new generation of ‘thinking outside the box’ has exploded -- Mojave Air & Space Port is where it’s happening. 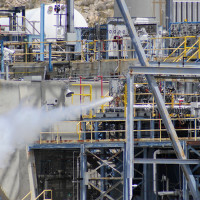 The roar of history can be heard at the Air Force Research Laboratory Rocket Propulsion Division at Edwards Air Force Base. Air Force photograph A desert tortoise sits on Mercury Boulevard at Edwards Air Force Base, Calif. 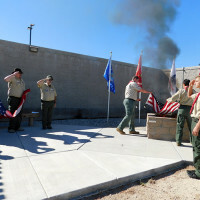 The desert tortoise is one of the many animals found at Edwards Air Force Base in California’s High Desert. 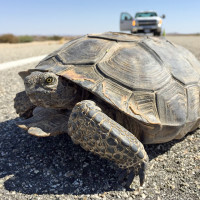 Listed as threatened under the federal Endangered Species Act of 1973, desert tortoises are protected from unwarranted harassment or injury….